Are you feeling fall yet? The waffling temperature certainly has everyone guessing. One day it’s fall, the next it’s summer. Should you wear a sweater or suntan lotion? One thing you won’t have to guess about is all the cool art going on in our neck of the woods. There are film festivals, gallery openings, and theater galore. The only thing you’ll be guessing about is what to do first. Our picks this week will help you decide. Undermain Theatre’s new drama “John” opens tonight. The story, written by Pulitzer Prize-winning playwright Annie Baker, is about a couple struggling to stay together who are welcomed by an eccentric innkeeper into a bed and breakfast that sits on top of a mass burial ground. 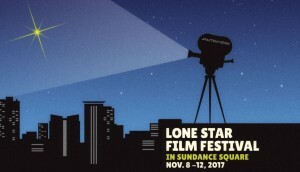 The 11th annual Lone Star Film Festival kicks off in various venues in Fort Worth’s Sundance Square today. The four-day-long event includes film screenings, film competition, panel discussions, guest speakers, awards, and parties. Tonight at the Allen Public Library Jim Dolan shares his perspective on his father, James Henry Dolan, during the time of the JFK assassination and his associations with top Mafia bosses. The Firehouse Theatre in Farmers Branch hosts the experimental theater company L.I.P. 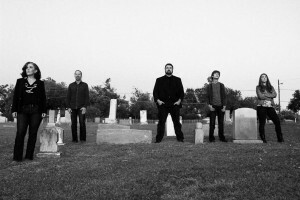 Service as they take on “Graceland.” Chicago’s oldest cemetery serves as the backdrop for this story of four lonely Chicagoans whose lives collide one August weekend while the Blue Angels airshow is in town. Folk artist, storyteller and improvisational musician Lonnie Holley performs at the South Dallas Cultural Center tonight. “Letters from Iraq” is a musical retelling of different experiences living in war-torn Iraq. See it tonight at PepsiCo Recital Hall at TCU. 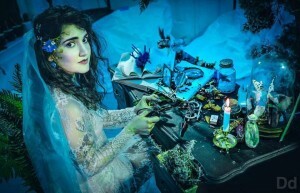 The Safe Room gallery at the Texas Theatre has a new exhibition called “Hydroplantics” featuring work by Shamsy Roomiani. Her plant-based work is on view through Dec. 9. The theater company Meladew Productions tells the story of a pair of actors shrouded in emotional turmoil and faced with tough decisions. 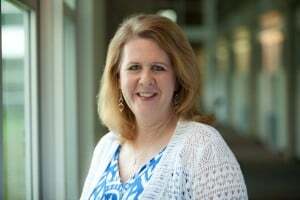 See “One And Only” at Rover Dramawerks in Plano. Jubilee Theater presents the story of Al Green in the musical “Saturday Nights, Sunday Mornings.” See the one-man play written and performed by DeMille Cole-Heard at the Fort Worth Community Arts Center. 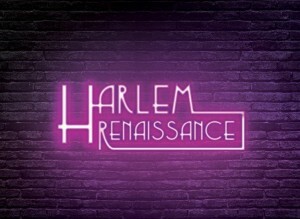 The Meyerson Symphony Center transforms into 1920s New York City this Saturday as the Dallas Symphony Orchestra takes on the Harlem Renaissance. Trumpeter Byron Stripling is one of the guest artists who will be adding his talents to make the legendary jazz nightclub come alive again. Also Saturday, the South Garland Branch Library invites you to embrace National Novel Writing Month with a free editing session for your short story. This Saturday is the 13th year for Art Con. Art Con is Art Conspiracy’s signature event that combines the forces of creativity and philanthropy to benefit local art groups. The Cedars Union will host the party and art auction. Architecture critic Mark Lamster explains the relationship between art and architecture at NorthPark Center. Lamster will talk with NorthPark owner Nancy Nasher as part of the Oak Cliff Society of Fine Arts Series. Hear the discussion Sunday at the Turner House in Dallas. Dressing for comfort is in style these days. But how did it become en vogue? 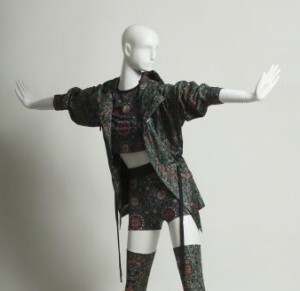 See the exhibition “Sportswear to Athleisure: The Creation of Comfortable Clothing” and find out at the UNT ArtSpace Dallas gallery on Main Street in downtown Dallas. Art&Seek Spotlight Artists TIERRA FIRME explore culture based on geography in “Orbital Migration,” a set of installations on display at Cliff Gallery at Mountain View College in Dallas. And time’s running out to see Shafaq Ahmad’s latest visual arts showcase at the Irving Arts Center. Don’t miss her installations and digital media show, “Lifting of Veils to Lights of Mystery,” through November 26. 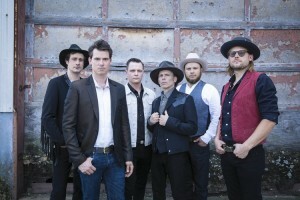 The Americana music group, Old Crow Medicine Show, reimagines Bob Dylan’s famous album “Blonde on Blonde.” Hear the Grammy-Award winning band perform songs from the album when KXT 91.7 hosts the Old Crow Medicine Show at the Winspear Opera House in Dallas tonight. Violinist Augustin Hadelich performs a recital of intimate chamber works tonight. You can hear the young musician at the Kimbell Art Museum, presented by the Fort Worth Symphony Orchestra. Five artists use a variety of subjects and concepts for the printmaking exhibition “High-Key” that explores rich contrast imagery with strong graphic qualities. You only have until November 20 to see work at the Lightwell Gallery on the campus of UNT in Denton.